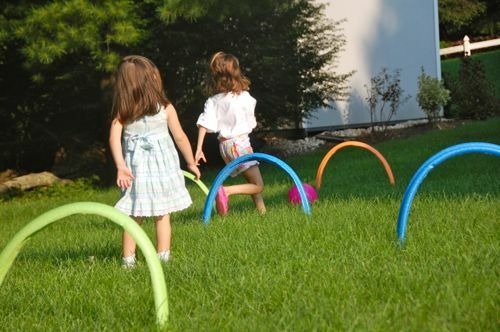 Kids need to burn off some of that extra energy? Have some old pool noodles on-hand?? 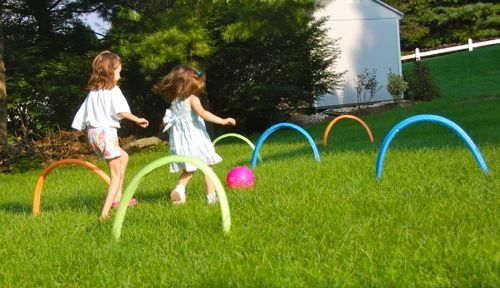 Then it’s time to make up your own kick croquet lawn game!! Cut pool noodles in half down the middle (we reused the ones from our awesome marble run), and each pool noodle is enough to make up two arches. Use garden stakes to keep them in place on the lawn. 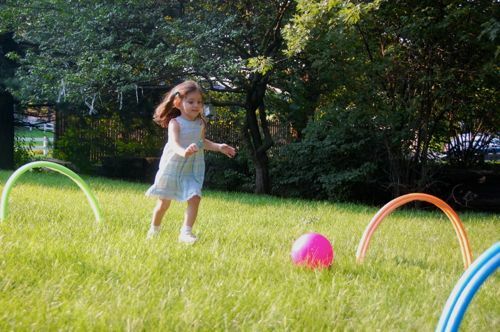 Gather up a few kick balls and kick the ball through the course croquet style! First one to get their ball to the finish wins!! This ended up turning into a “beat the clock” racing game… fun!! 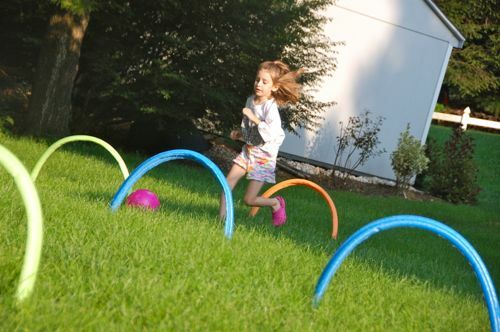 Lots of great active and frugal fun! Wishing you and your lovely family a wonderful weekend! !